WHAT DO I MEAN WHEN I TALK ABOUT THE TWO FACTIONS? Date: Tuesday, 23 December 2003, 4:43 p.m.
What is the Main difference Between Them? In 1989, the Publisher of Rumor Mill News, Rayelan Allan, married Captain Gunther K. Russbacher, Office of Naval Intelligence attached to the CIA. Gunther Russbacher is the first person to introduce the concept of "The Factions" to the world at large. Rumor Mill News was the first internet news site to to write about the "Secret War Between the Factions"... a mostly silent war that goes on behind the scenes. The Factions exist in every country throughout the world. They are in every political party, every Non Governmental Group (NGOs), every state, county, town and even your school boards! Faction One is the group of international bankers and corporations that wish to control the entire world. Faction Two (F2) is made up of a covert group of men and women who know what Faction One (F1) wants, and purposely throws roadblocks in their path to slow down their world takeover. Rumor Mill News was started in 1996 to reveal some of the hidden truths about the governments of the world. One of the hidden truths that the founders of Rumor Mill News revealed to a large audience in 1992 was that the Federal Reserve Banking System in the United States is NOT owned by the United States government. It is owned by international bankers who have their headquarters in the "City of London", which is a separate part of London. The owners of the Federal Reserve, through the United Nations, Non Governmental Organizations, think tanks, non-profits, the World Bank, the IMF and other means, have used the money they stole from the American people to infiltrate and "buy" the wealth of other countries. The "owners" of the Federal Reserve are made up of 300 interconnected families. These families are firmly planted in ALL countries of the world. These families have a plan for a ONE WORLD GOVERNMENT which will be UNDER their control. All nations and people will LOSE their sovereignty. The common phrase for these people and their plan is: THE NEW WORLD ORDER. Most American patriots and other nationalists around the world KNOW about the threat to their sovereignty from the New World Order. What they don't know is that there has been another force, hiding in the shadows. A force that has been putting road blocks in the path of the New World Order since the end of World War Two. The men and women who make up this hidden force call themselves Faction Two, (F2). They label themselves this way because THEY came second. The bankers of the New World Order set about destroying the sovereignty of nations. The men and women of Faction Two formed as a result of losing their nations. In the United States, the members of Faction Two call themselves "The Cowboys". Faction One is the New World Order, made up of the International bankers, the 300 un-named families who also own our Federal Reserve Banking System. These families are descended ideologically AND biologically from the Rothschild funded Illuminati. Faction One also created the Corporations. Corporations were created by the King of England who was owned and controlled by the Rothschilds. Faction Two is descended from the King of Bavaria, the Knights Templars and the German Abwher. Faction Two was created by men whose countries had been destroyed by the New World Order. In 1776, the King of Bavaria blew the whistle on the planned take-over of the monarchies of Europe by the Illuminati/Rothschilds. As a a result, the NWO, which expected to go "online" in 1776, had to retreat to the shadows and build up their strength for their "next planned world-takeover". Other articles, which are linked in this article, give more background. This is just a thumbnail sketch. Over the years, I have posted many different articles in which I talked about the two Factions who appear to be vying for control of the world. Faction 1, the NWO promises us a future that is a slave state. Faction 2, the one that my ex-husband Gunther Russbacher talked about, promises us a world that is similar to the United States in the 50s.... not perfect... but definitely NOT a Slave-State! Before RMN appeared on the web, the concept of "Factions" did not exist. The only place it had been mentioned, besides the print edition of RMNews, was in Rodney Stich's "Defrauding America", a book for which Gunther Russbacher was the main source.... not the ONLY government source... but the main one! I first started posting information on the web about the Two Factions in 1999. If you have been with RMN since that time, then of course you know what the Factions are, so you can skip this article. However, we have many new readers AND new RMNews Agents who have never read these articles. Here at RMN we encourage independent thought and as a result we also have a few RMN Agents who have their own opinions of what the TWO factions are. I don't know if these Agents have never taken the time to read what Gunther Russbacher and I have written about the factions, or if they simply don't believe that ONE of these two Factions... FACTION TWO... is on OUR side!! To really understand where my ex-husband is coming from, when he told me about Faction Two, you need to know a little about him, who he was, where he came from and what he knew. The articles that are contained in the webpage, Who Founded RMNews are a good place to start. WHO FOUNDED RUMOR MILL NEWS? Two of the most important articles from this page are two that Gunther wrote while he was in prison. They expose the evil behind the creation of the Federal Reserve Banking System. 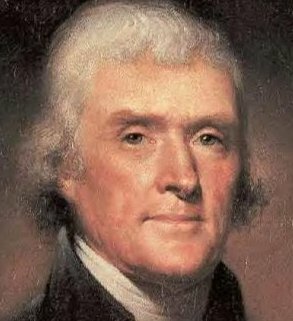 Links to those articles are included here, along with some wisdom from Thomas Jefferson. And the THINK TANKS it SPAWNED! An inter-related family of people, all of whose family names are easily recognizable in today's business and political worlds. Thus Spake The Raven . . . By Gunther K. Russbacher... aka "The Raven"
There are many other articles in which I give a brief update of the factions. I have included some of them. To really explain what the factions are, I need the time to write a book on them. When RMN is making enough money to support itself and my, which means I can quit my job, I promise I will write this book! Posted By: Rayelan Date: Thursday, 10 July 2003, 9:20 p.m. I didn't always used to think this!! Posted By: Rayelan Date: Sunday, 13 April 2003, 7:22 p.m. When RMNews gets too close to the truth... another psyops is launched to distract us... I think that many old time readers are getting pretty good at recognizing distractions then they start appearing on the forum. I think the current distraction was created from keeping us from connecting the dots from the San Francisco fire and black out... to the earthquake to the recent raising of the terror alerts. Posted By: RMNewsUpdates - Date: Monday, 11 February 2002, 7:38 a.m.
Posted By: Rayelan - Date: Friday, 14 December 2001, 3:02 a.m.
NEW READERS HAVE NO IDEA WHO CREATED RUMOR MILL! Posted By: BettyJean - Date: Saturday, 2 December 2000, 8:21 a.m.
Posted By: Rayelan - Date: Tuesday, 24 October 2000, 8:55 p.m.
Rayelan -- Tuesday, 23 December 2003, 4:43 p.m.
Rayelan -- Wednesday, 24 December 2003, 12:48 a.m. Rumor Mill News Reading Room Archive is maintained by Forum Admin with WebBBS 5.12.